William Dobell was a painter best known for his portraits, which used an expressive style to create vivid portrayals of character. He won the Archibald Prize for portraiture three times, although his first win was marred by controversy. In the post World War II era of great conservatism in Australian art and politics, he was a witty and incisive observer of social manners and morals. Dobell was born in Newcastle, New South Wales, and studied at the Julian Ashton Art School in Sydney from 1924. In 1929 he won the New South Wales Society of Artists Travelling Art Scholarship, which enabled him to continue his studies in London and travel throughout Europe. He studied at the Slade School of Fine Art in London under Henry Tonks and Philip Wilson and then took private lessons from William Orpen. In London he made a close study of paintings by Rembrandt, Renoir, Turner, Constable, Van Gogh and Ingres and was influenced by the contemporary paintings of Augustus John The boy at the basin 1932. Living in Pimlico, surrounded by a rich milieu of characters, he was inspired to produce quickly-captured glimpses of life in the streets, cafes and parks, and small paintings in the comic style of William Hogarth The duchess disrobes 1936). In this time, Dobell developed a close friendship with the Australian artist Donald Friend, and together they explored London’s jazz and art scenes. Dobell returned to Sydney at the death of his father in February 1939, where he found inspiration in the colourful life of the Kings Cross area. 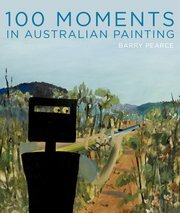 He worked on a series of Australian ‘types’, expressive characterisations in the broad painterly style of the European tradition he had observed abroad. In 1941 he was conscripted into the Civil Construction Corps and from 1942 served as an official war artist, documenting the efforts of the CCC. Dobell achieved recognition with an exhibition at the Art Gallery of New South Wales in 1942, shared with Margaret Preston, but the following year his renown turned to notoriety. He won the Archibald Prize with a stylised, exaggerated portrait of fellow artist Joshua Smith, which was condemned by fiercely conservative artists Joseph Wolinski and Mary Edwards, who alleged that the painting was ‘a distorted and caricatured form’ and therefore not a portrait. 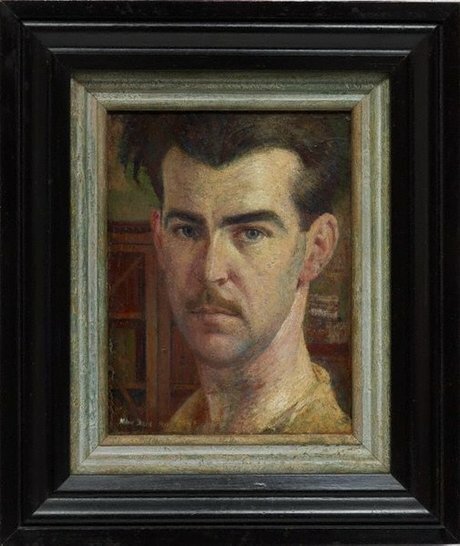 In response, Dobell claimed that he was ‘trying to create something, instead of copying something’, insisting that ‘so long as people expect paintings to be simply coloured photographs they get no individuality and in the case of portraits, no characterisation. The real artist is striving to depict his subject’s character and to stress the caricature, but at least it is art which is alive’. The legal case brought against him and the Trustees was dismissed the following year. After the controversy, Dobell had a nervous breakdown and moved to Wangi Wangi on Lake Macquarie, New South Wales where he painted landscapes, gradually returning to portraiture. In 1949 he was awarded the Archibald Prize with a portrait of painter Margaret Olley and the Wynne Prize for his landscape Storm approaching Wangi 1949. He visited Papua New Guinea in 1950-51, and experimented with abstraction in his subsequent work ( Giluwe 1953), and in 1954 he represented Australia at the Venice Biennale with Russell Drysdale and Sidney Nolan. In the late 1950s he received substantial commissions for portraits ( Dame Mary Gilmore 1957) and painted commissions for the cover of Time magazine, including a portrait of the Australian Prime Minister, Robert Menzies (1960). Dobell was widely recognised for his contribution to artistic culture in Australia. Between 1944 and 1948 he was a Trustee of the Art Gallery of New South Wales, in 1965 he was appointed OBE, and knighted the following year. 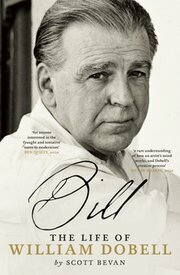 Dobell bequeathed his estate for the formation of the Sir William Dobell Art Foundation, which assisted in the purchase of many artworks for the collection and sponsored an annual drawing prize, now the Dobell Australian Drawing Biennial.